illusion of depth and dimension. and what would have saved to see. of a dream’s double image. This poem is included in the chapbook Little River (Finishing Line Press), and first appeared in Pegasus. Paul Stroble teaches philosophy and religious studies at Webster University in St. Louis and is also adjunct faculty at Eden Theological Seminary. Previously he taught at the University of Akron, Indiana University Southeast, Louisville Seminary, and Northern Arizona University. He is a native of Vandalia (Fayette County), Illinois. A grantee of the National Endowment for the Humanities and the Louisville Institute, he has written several books, primarily church related, and numerous articles, essays, and curricular materials. He blogs at paulstroble.blogspot.com. His chapbooks with Finishing Line Press, which share the same fictional geography, Dreaming at the Electric Hobo, Little River, and Small Corner of the Stars. 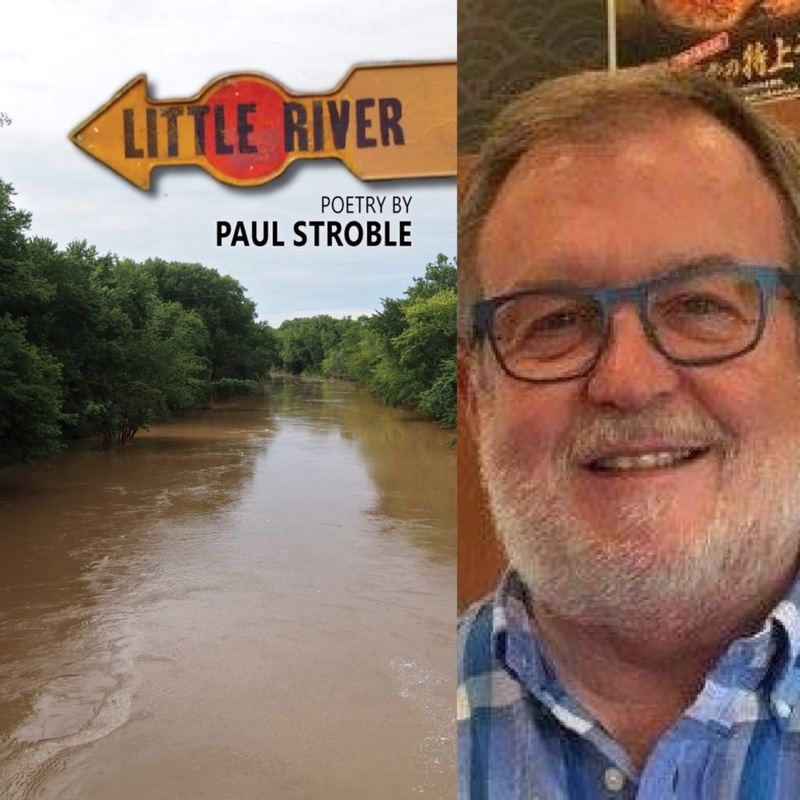 Paul Stroble’s poetry in Little River has a clear-eyed, loving nostalgia that possesses great sentiment but is completely without sentimentality. His splendid verse gives us a Midwest that, in part, has disappeared but can never leave us. These poems have immediacy, beautiful imagery, and an unsparing honesty that is never cruel but always suffused with love for the heartland and its people. This focused, always honest voice is like no other in contemporary poetry. Paul Stroble’s poems in Little River embody both witness and worship, inviting the reader into the most intimate and tender of spaces with generosity and deep joy. Rilke said praise is all that matters, and Stroble does praise, but he also makes space for a quiet grief, acknowledging the world’s brokenness or pain. He deftly pulls in larger political realities deeply personal and particular to this place, within the framework of time and history, railroads and junkyards and century farms, so that in the end the poems bear the truth that our lives are as “ephemeral as wind.” Yet, this poet must speak and testify and witness to our ordinary moments, revelatory and full of grace. The reader shares in communion the poet’s gratitude and awe and reverence for the natural world, for history and time, and for our own transience, finding transcendence in what is so near to us. Little River is a stunning collection by a poet deeply in love with the world.